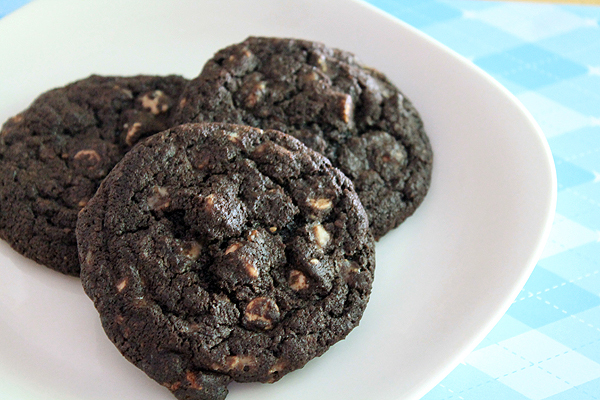 When I was little, my favorite kind of cookie to get from the bakery or coffee shop was always one with a chocolate base. We never made that kind at home, and basically, they seemed like magical inside-out cookies to my kidlet brain. 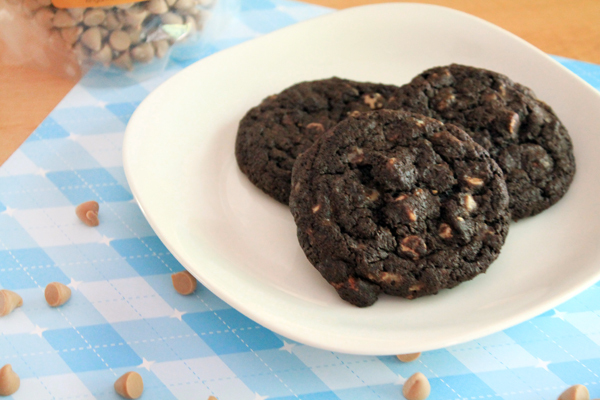 It might be 30 years later, but for me, the magic of dark chocolate cookie dough has not lost its allure. It’s still my favorite kind of cookie to eat, but I purposefully don’t make them that often so that when I do, it’s really special. 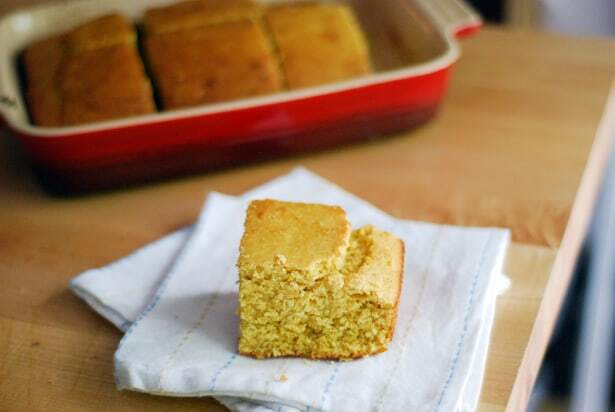 I don’t often post recipes with specialty or mail-order ingredients because I kind of think it’s unfair to tempt you with something that you then have to buy and ship. 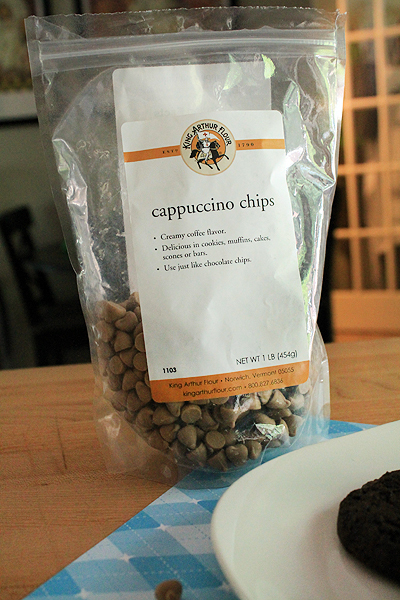 I’m making an exception here because when I purchased these cappuccino chips from King Arthur Flour on a whim, I didn’t realize just quite how addicting they would be. I beg you, go to the trouble of ordering these cappuccino chips. You’ll thank me later. I made these cookies for my husband not long ago. Sitting in front of the Christmas tree, watching the lights twinkle while we shared rich, luxurious cookies with a silky coffee flair, it was just perfect. Step 1: Leave a comment below sharing your recipe for a happy holiday! Step 2: When the registration box appears, complete the form. Step 3: Thats it! My recipe and a coupon code from Cardstore will be sent to you by mail.